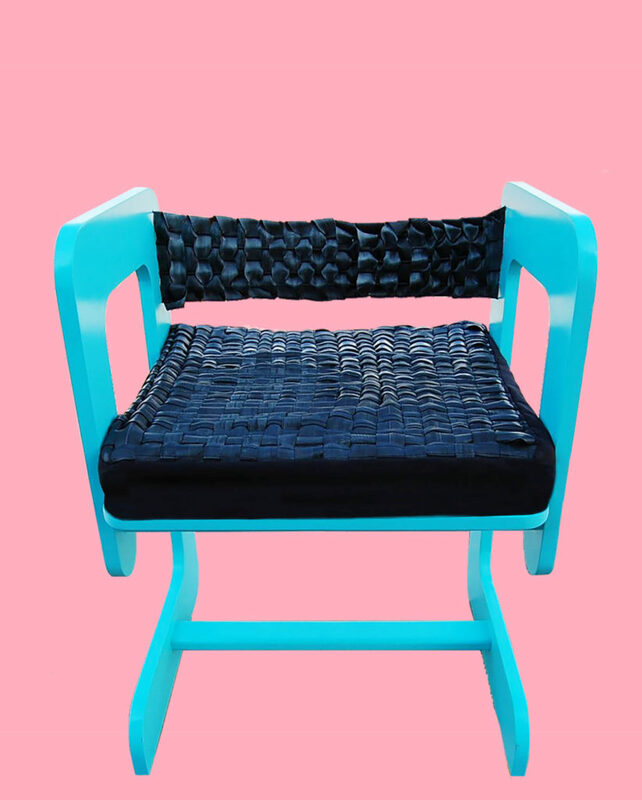 Modopactua was born in Mexico City in 2011 as a group of 5 designers, artists and architects to fuse crafts, art and design with upcycling techniques, aiming to direct attention to sustainability and other social issues. Modopactua reuses textile materials to produce meaningful objects while at the same time connecting communities in the city and by doing so, deconstructing stereotypes. Modopactua offers collective, collaborative and participative activities and serves as a meeting point for many other initiatives in Mexico City. The collective was founded by Nayeli Vega, Yareth Silva, Gabriela Sisniega, Claudia Wondratschke, Yupanqui Ramos, Karla Amezcua and collaborations with fashion designer Kellen Mensing. 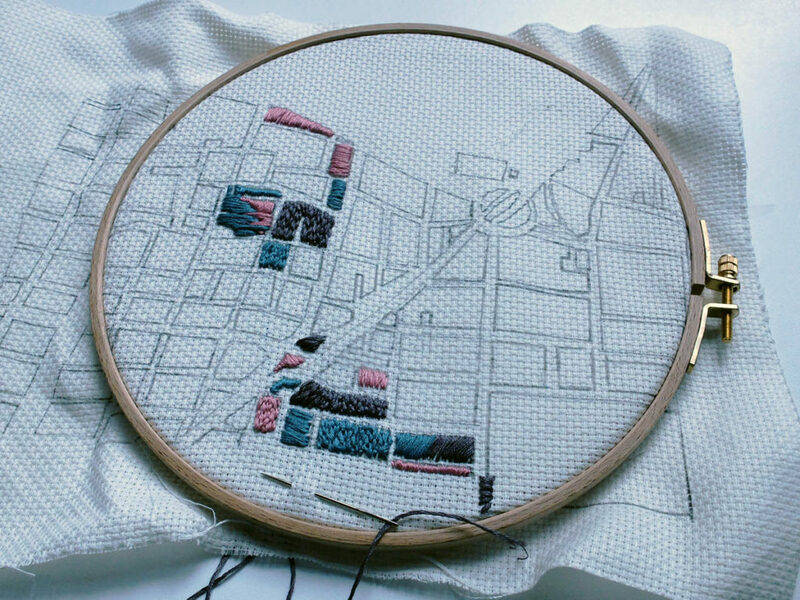 Embroidered map of “Guerrero” neighbourhood searching for the spaces dedicated to handwork, like shoe repairing or sewing and repairing clothes, craftworks on extinction. 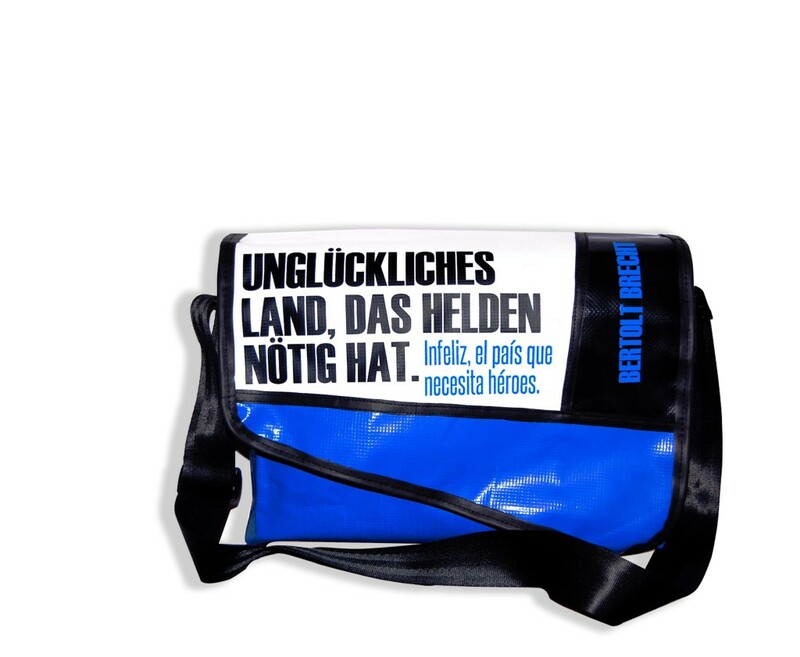 Bags created for Goethe Institut México made with material from Mercado de la Merced in Mexico City. 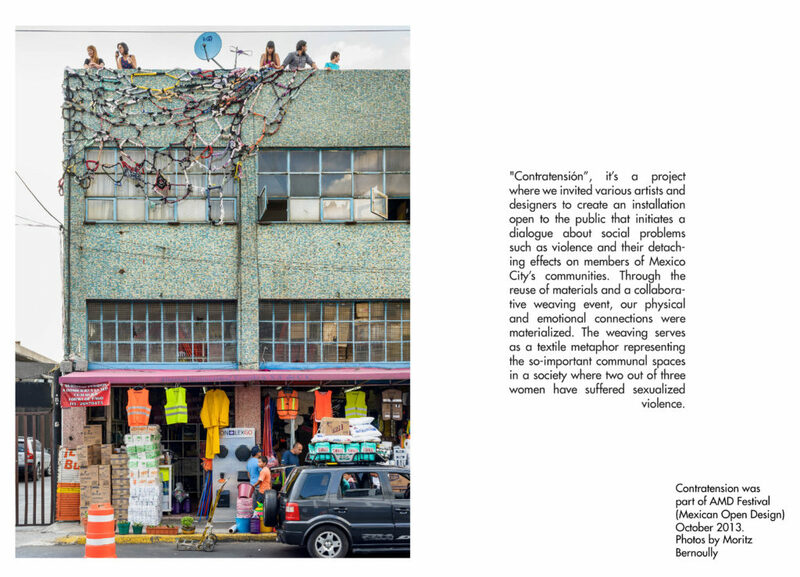 A project by Kellen Mensing and Nayeli Vega. For Modopactua, we used upcycling, weaving, natural dyeing, embroidering and printing as crafting techniques, but also, combined with techniques such as cartography and mapping, as a metaphor for emotional relations, personal experiences and social processes such as gentrification and migration within the city’s communities and neighborhoods. Modopactua organized workshops based on textiles and crafts that sought to focus on issues of feminism and sustainability, the history of the textile industry, traditional textile techniques and upcycling. The aim was not only to create products, but to discuss the high rate of consumption of textiles and fast fashion, their negative impact on the environment and the labor exploitation fostered by this economic model.